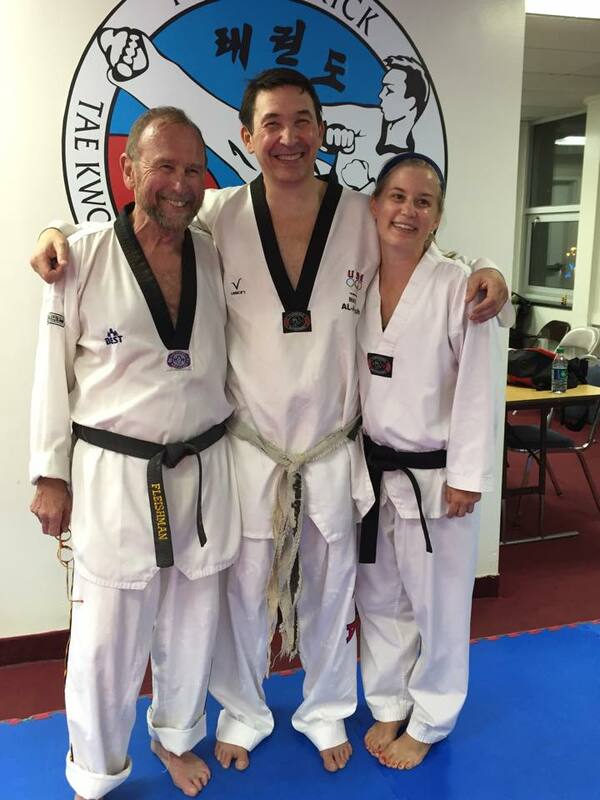 On Sunday, April 19 and again on April 21, it was a great pleasure and a surprise to see the first student I ever promoted to Black Belt, Anne Marie Herron Helm, and Bob Fleishman, one of my first adult students. Both Anne Marie and Bob started before I had a studio of my own, when I was teaching in a rented multipurpose room in DC. At the time I was also competing, working another full-time job, and had two young children at home. In 1990 Anne Marie became my first junior Black Belt; Bob became one of my first adult black belts shortly thereafter. Connections from that first location led to my teaching in a number of other locations, including schools, law firms, and dance studios. The program eventually grew to the point where I realized that it was time to open my own Martial Arts school. I combined my 8 locations into the school that ultimately became Flying Kick Fitness. Seeing Bob and Anne Marie brought back wonderful memories from the mid-1980s to today.